← Madison, WI: Come for the cheese, stay for the everything (and the cheese)! 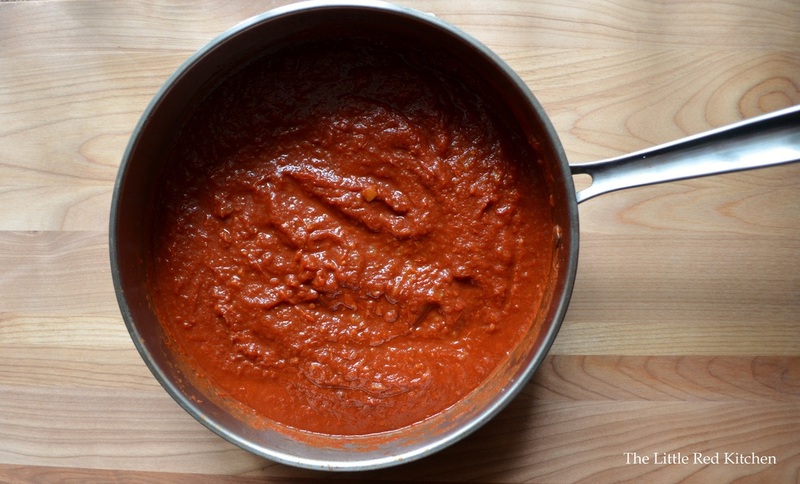 If you ask me, and you kind of are, because you’re reading this post, there are two egregious things that a cook can do when it comes to making marinara, or spaghetti sauce. And they are on opposite ends of a tomato spectrum.The first thing is , buying jarred sauce. :( This deserves a frowning face, because jarred sauce is so bad, by and large. We are often fooled in the Italian aisle of our grocery stores, by the new nomenclature that these sneaky brands come up with–things like “4 cheese” and “Tuscan home style” and “basil and cheese”–how they get away with this, I don’t know, but it fools us into thinking that there just might be something special in that jar. We forget the fact that any cheese or basil or “home style” ingredients they use have to be processed in such a way that makes them shelf stable, which puts them on the opposite end of fresh, and certainly on the opposite end of home style! If I have to make a final point against jarred sauces, just look at the price tags of some of the more gourmet brands…yeah, it really costs that much for fake marinara.The other problem with marinara, the one that is sort of the opposite of store-bought sauce, is this idea that spending a Sunday afternoon in your Italian grandmother’s kitchen, simmering tomato sauce for hours and hours, will produce the best sauce that any money can buy. Now, I mean no offense at all to the Italian grandmothers, but this is simply not the case either. See, the great advantage that homemade tomato sauce has over jarred sauce is freshness! But unfortunately, when you cook a sauce for hours to get that slow simmered taste, you are cooking out all the fresh tomato taste, all the fresh herb taste, all the fresh olive oil taste…you will be left with something bland, and possibly just as unappealing as the stuff on the grocery shelves. That being said, HOW then, do you make the ideal sauce?! The one that tastes fresh, but not so fresh that it just tastes like a pile of tomatoes with some raw garlic on top. And how do you get that deeper flavor without cooking the sauce to death? Believe it or not, I think I have solved the problem. 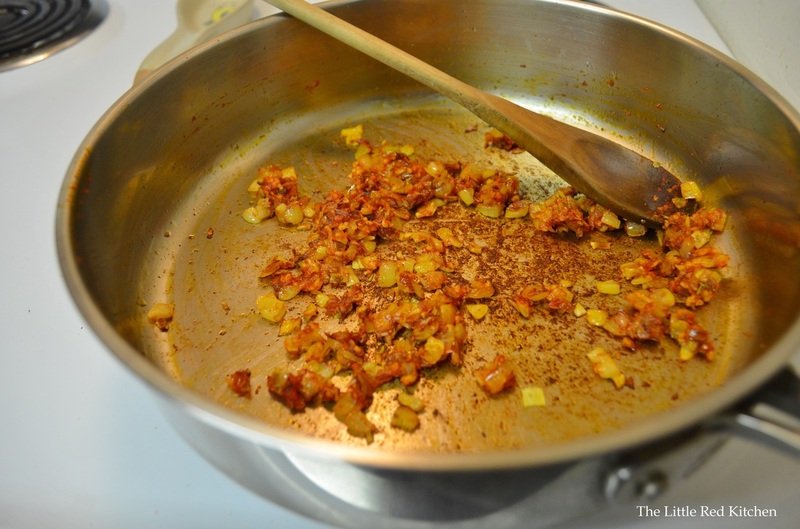 Add the aromatics–red pepper flakes, garlic, dried oregano, and tomato paste–to the middle of the pan. Mash it up to break up the tomato paste, and then cook for just 30 seconds to a minute, until the tomato paste starts to turn dark red/brown. If the pan is looking really ugly, you will know you are there! P.S. Amore tomato paste is seriously the best. I know that the squeeze tube costs a little more than the little cans, but the squeeze tube will last months; try storing that opened can of tomato paste in your fridge. Regardless of how you attempt to cover up the top, it will be growing all sorts of things on it before long. 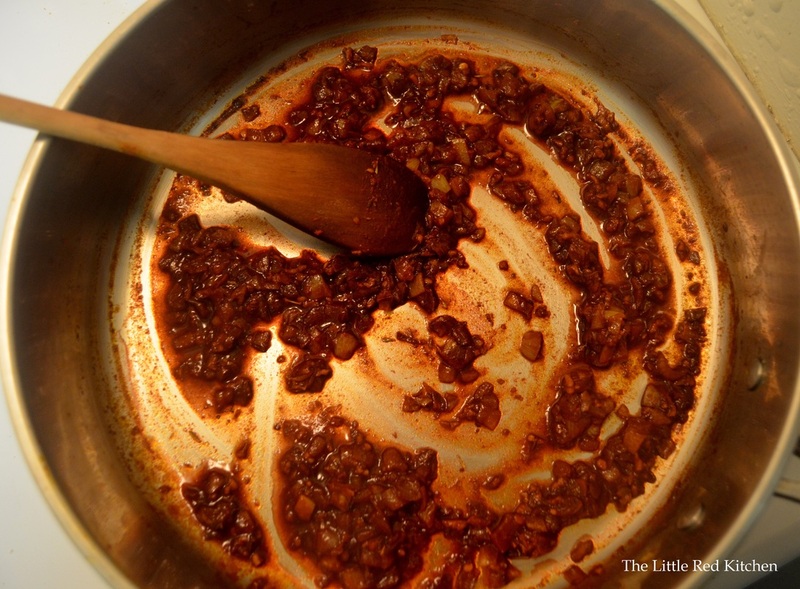 Pour the 1/4 cup of wine into the pan and scrape up the browned bits at the bottom, and simmer this mixture until it is reduced to a sort of syrup, just a couple of minutes. 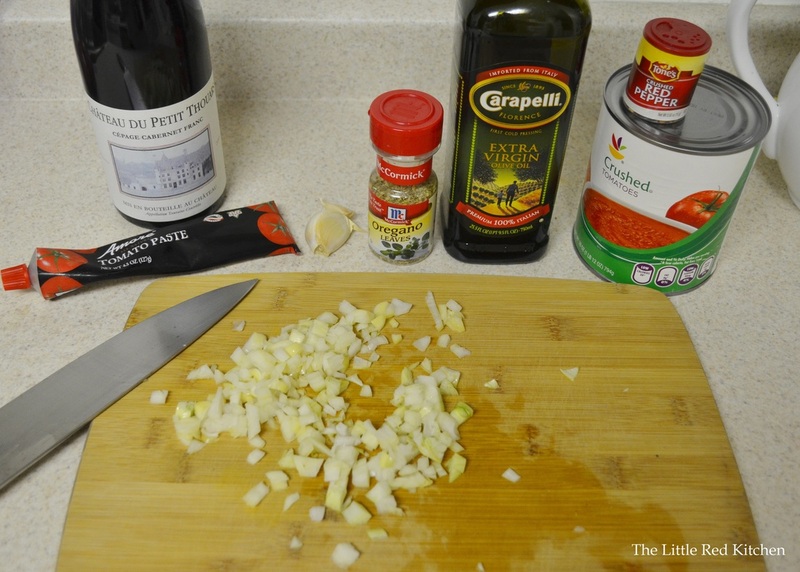 This might seem weird, but that little bit of wine will give a robust depth to a quick-cooking sauce. I know it’s just 1/4 of a cup, but it is a great excuse to get a bottle of wine going! P.S. Use a Beaujolais, a Merlot, or a Pinot Noir, but steer clear of a full-bodied Cabernet Sauvignon. I used a Cabernet Franc in this. I hope I have successfully proven to you that a fantastic sauce doesn’t necessarily come from a jar, but it also doesn’t have to take hours to prepare. In about 20 minutes, including prep work, you can have a fantastic marinara sauce that, I promise, would make any Italian grandmother proud.